Continuing the NHL Draft Scout Series, which was last in Sweden, we trek to another Scandanvian country, and perennial prospect producing machine: Finland. Here, we check in with Future Considerations Finnish scout, Marco Bombino, who’s got the goods on notable ‘Finn’ prospects for next week’s NHL Entry Draft. Christian: Outside of Mikko Rantanen, there seems to be an absence of top Finnish players in this years NHL Draft. How would you rate this crop of Finnish prospects? Marco: If we compare this draft to recent years, this one seems to lack a true elite defense prospect. 2012 draft was really good for Finnish defensemen with names like Olli Määttä and Ville Pokka. In 2013, there was Rasmus Ristolainen and in 2014 Julius Honka. At offense, Rantanen is a high-end player for the draft. In the 1997 age-group there are a few solid forwards who I think will likely be drafted. I think this draft is pretty good for Finland, though I think you’re right in that the very high-end talent may be missing after Rantanen. C: Mikko Rantanen however looks like an absolute gem, already with NHL size and an excess of skill. How do you evaluate Rantanen Does he have star potential? M: Rantanen is a big, skilled winger with good puck protection skills on the boards. Creative with the puck, makes crisp passes and moves well laterally as well as in a straight-line. Able to create time and space through traffic with timid plays. Has a very good shot with a quick release, too. I think Rantanen has the potential to become a star in the NHL. He improved in the Liiga as the season went on and he has the required skills and smarts to become a really good NHL player. C: Other than Rantanen, do you think there any Finns that could sneak into the 1st round? M: I don’t personally see any other Finns being drafted in the first round. Rantanen is an excellent prospect, but after him there are good players who I simply don’t see being first round material. C: Finland seems to be an absolute factory for elite goaltending, does Veini Vehvilainen have the potential to be another star goaltender from Finland? M: I think Vehviläinen is a very talented goalie with good potential. He tracks pucks well through traffic. His positioning and mobility in the crease were at a pretty good level this season. Also, he has a solid blocker and competitiveness. However, he needs to work on his puck handling skills and he also could be more consistent at times. I’m not sure if he has the potential to be a star goalie in the NHL, but he does have NHL potential and should be drafted in my opinion. C: The Flames have 3 picks in the 2nd round, and 2 picks in the 3rd round, are there any Finnish prospects you see being available around that area of the draft? M: Roope Hintz is an offensive, skilled forward I could see being available in the third round. He’s not all that great defensively yet, however. His positioning without the puck isn’t a strength to me. However, the 6’2 winger handles the puck well, plus he has shown creativity and good decision making with the puck. Two other Finnish prospects I see being available in the third round are defenseman Veeti Vainio and forward Julius Nättinen, who I’ll tell more about later on in the article. C: Which Finnish prospect has been your biggest surprise this year? M: Defenseman Niko Mikkola (96) would be my choice. I saw him both with KalPa U20 and Hokki (FIN-2), where he impressed. He’s really tall, maybe even 6’5 at the moment, but he skates well for his size. He can play physically on the boards and he has good skill level, first pass. He’s a solid two-way guy, not just a defensive defenseman. Mikkola also played some games for Finland U20 team. He has really improved a lot lately. C: Which has been your greatest disappointment? M: Aleksi Saarela has been a highly-touted forward prospect for many years; however, many injuries have certainly affected his development. He didn’t have an overly productive season in the Liiga, but he did play well at the U18 World Championships in Switzerland. He has a really good shot with strong velocity and accuracy, but overall he could be more consistent and use his offensive skills even more effectively. I do believe he has a chance to be drafted, but I think it would happen in the later rounds. Also, Sami Tavernier from HIFK U20 had a disappointing season in my eyes. The winger was too often invisible and not involved in my viewings. He didn’t score a whole lot either. I expected a strong second season at the U20 level from him, but now it wouldn’t surprise me if he goes undrafted. He has some skill with the puck and he skates well, so there’s still some potential to his offensive game. Plus he was taken in the USHL Draft by Sioux City Musketeers. C: Which Finnish prospect do you think is most overrated by other scouts/media? M: Veeti Vainio is a defenseman who I’m not as high as some others may be. He has pretty outstanding offensive skill set and skating ability. He’s really good at the point thanks to his great poise, lateral movement and passing skills. However, he needs to be more physical and improve his defensive zone coverage. He seems to concentrate too much on the offensive side of the game. He has plenty of talent and potential, but for me, the overall game just wasn’t there. However, he could be an excellent pick for some team if he can improve his weaknesses. C: Which do you feel is most underrated? M: I think Jonne Tammela from KalPa is a prospect who could develop into a solid pro. He’s not that tall, but he competes without the puck and has some good skills. He scored slightly over point-per-game in the U20 league, but his team wasn’t very strong this season. He played in the Liiga as well, where he showed some promise as a 17-year-old rookie. He’s skilled with the puck with good vision. I think Tammela is already a good two-way player, plus he’s quick with nice edge work. 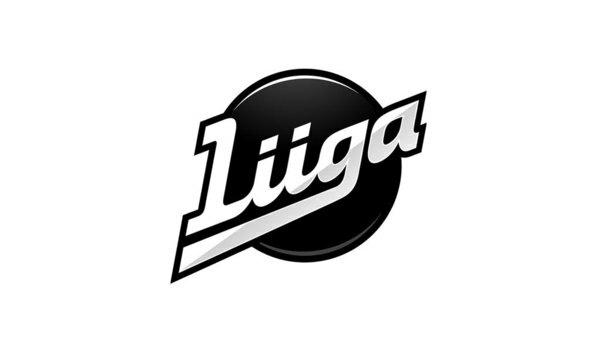 C: Lastly, who is your favourite Finnish prospect for the 2015 NHL Draft? M: Julius Nättinen is my favourite Finnish prospect for this draft. I was impressed each time I saw him play, whether it was in the Liiga or at the second highest level. He has the skills to become an effective player in the offensive zone, however, he’s also versatile and could be able to play multiple roles over his career. Nättinen could be a valuable pick for a team that wants a solid prospect at center. Boy, I would love me some Mikko Rantanen. Much thanks to Marco for taking time to talk draft with us, do yourself a favour and follow him on Twitter @marco_bombino. Thanks Christian. Bottom line, does Rantanen have true first line potential? If yes, how does he fall to 15? The sense I get is he won’t fall to 15, if the Flames want him they’ll have to go get him. As for 1st line potential, Marco seems to think so but I haven’t seen enough of him – and not at all live – to form a proper opinion. From the outside though, look ridiculously promising. I am not sure I see the point in trading up to get a winger like that unless you were extremely high on him. A defenceman or a centre, sure, I could see that. But a winger? Only if he was supremely talented (like Marner) and I think the cost would be prohibitive. Unrelated, but why isn’t Anthony Beauvillier more highly-regarded? 94 points in 67 games, over 36% of his team’s offense? Those are better results on the surface than Nick Merkley. Thanks for doing these Christian. This stuff gets me really excited for the draft. I would love me some Rantanen too, but I don’t think it’s worth it to trade up to get him. The cost would be too high, and the draft is so deep that we will still get a quality prospect that should be NHL ready (with the chance to be a real difference maker) in a couple years. Personally, I’m hoping for Svechnikov, but whomever the scouts think is the best fit I will support them! We have enough high quality forward prospects – lets concentrate on getting quality D-men! I’m really looking forward to the QMJHL draft scout series (if there is one…). This seems like a really deep class for the Quebec league. There will be, it’ll just last because of the scout’s prior commitments! I’m tired of all let’s draft a D instead of a winger talk. Either of which we draft will not likely be able to play at their highest level while Monahan, Bennett, and Gaudreau are. This means to get a fully competitive team during the span of Bennett being 25-29 we would likely be doing a lot of trades and would maximize our assetts if we draft BPA. BPA is also the player that other teams should covet the most if it’s a D that’s great if it’s a winger who cares could end up being amazing. The point of BPA is that overall having Rantanen would help out Calgary far more than Roy, Chabot, Zboril or whichever D man we take because Rantanen is far more likely to be top line potential than those D men I listed who are more likely to be 2nd pairing not an elite winger. Say some random trades happen and Calgary needs a centre we could get a far better centremen in return for an elite winger over a 2nd pairing D. draft whoever you think is the best player at the time and maximize your assets value is how teams like Detroit stay competitive for long periods of time. Man, I love these scout series. Roope Hintz might be the best name in this year’s draft. Who names their kid Roope? Apparently…some. Snowboarder Tonteri. Former Children of Bodom guitarist Latvala. Even Scrooge McDuck has been translated Roope Ankka. Yeah, a lot of Roopeing going on in Finland.